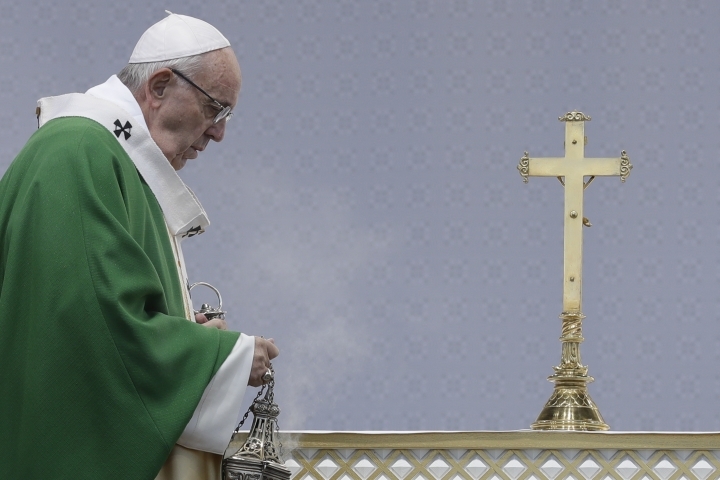 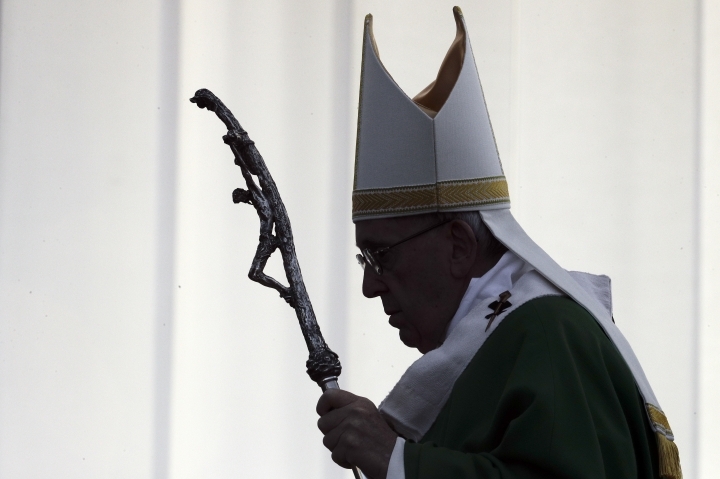 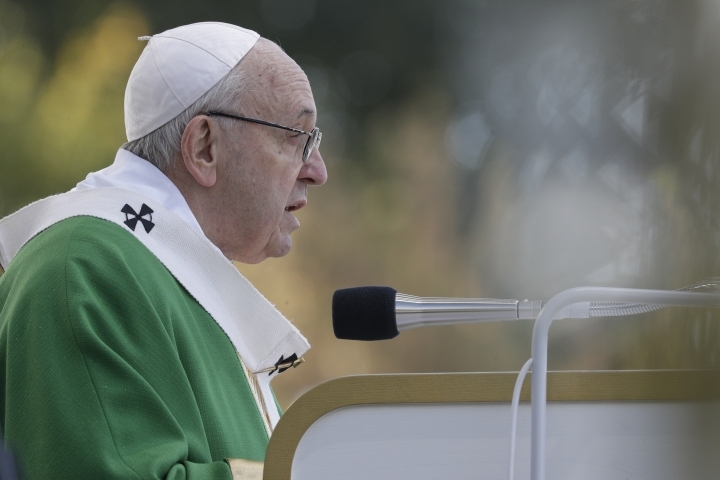 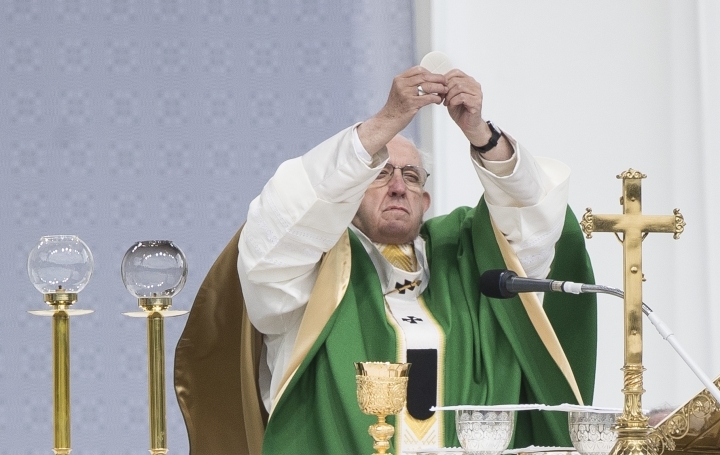 VILNIUS, Lithuania — Pope Francis warned against historic revisionism and any rebirth of anti-Semitism that fueled the Holocaust as he marked the annual remembrance Sunday for Lithuania's centuries-old Jewish community that was nearly wiped out during World War II. 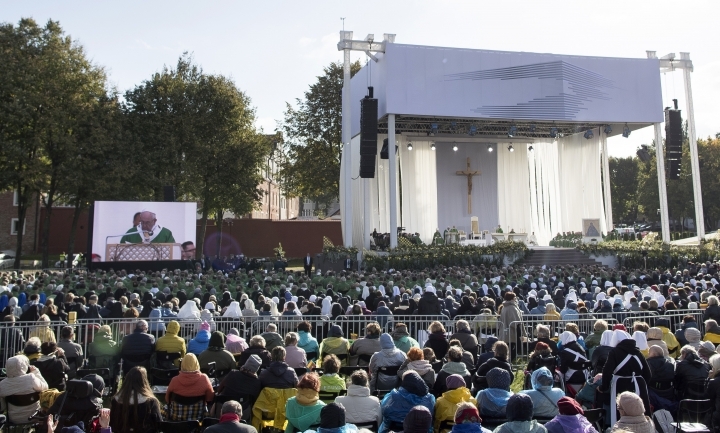 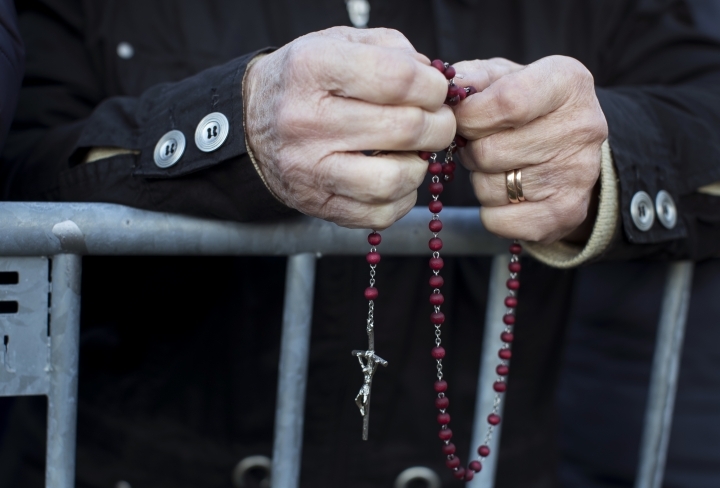 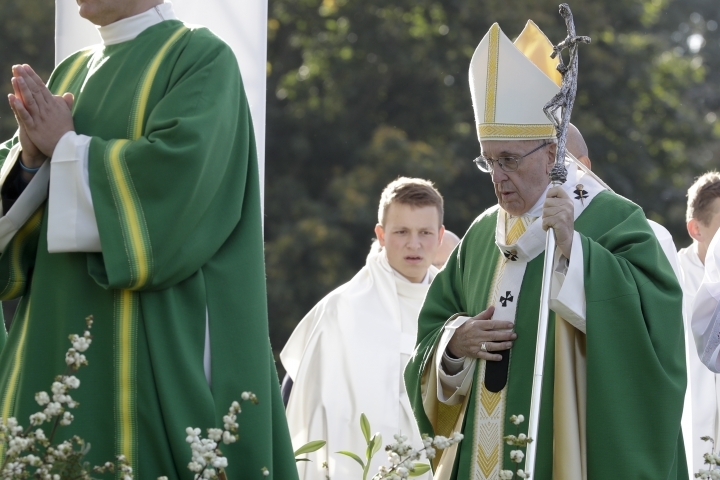 Francis began his second day in the Baltics in Lithuania's second city, Kaunas, where an estimated 3,000 Jews survived out of a community of 37,000 during the 1941-1944 Nazi occupation. 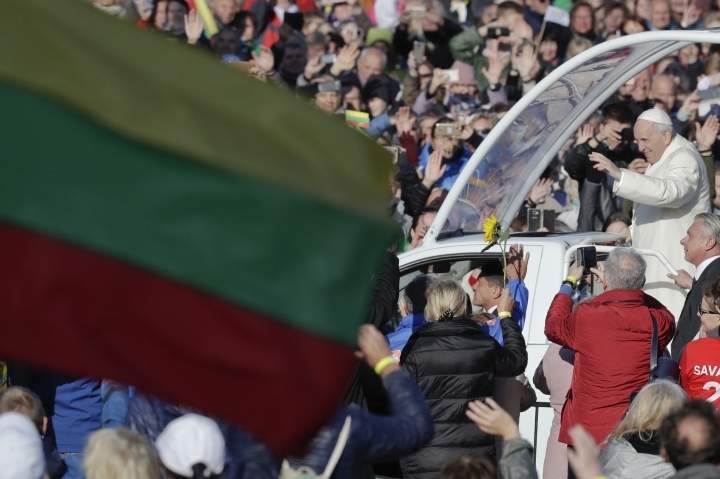 He ended it back in the capital, Vilnius, to pay his respects to Lithuanians who were deported to Siberian gulags or were tortured and killed at home during five decades of Soviet occupation. 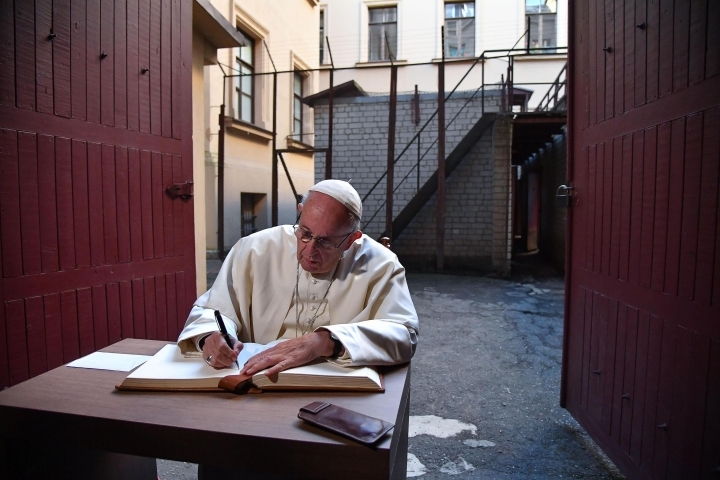 Francis honored freedom fighters at the former KGB headquarters where anti-Soviet partisans were detained and executed, solemnly touring the underground chambers that have now been turned into a haunting museum of occupation atrocities. 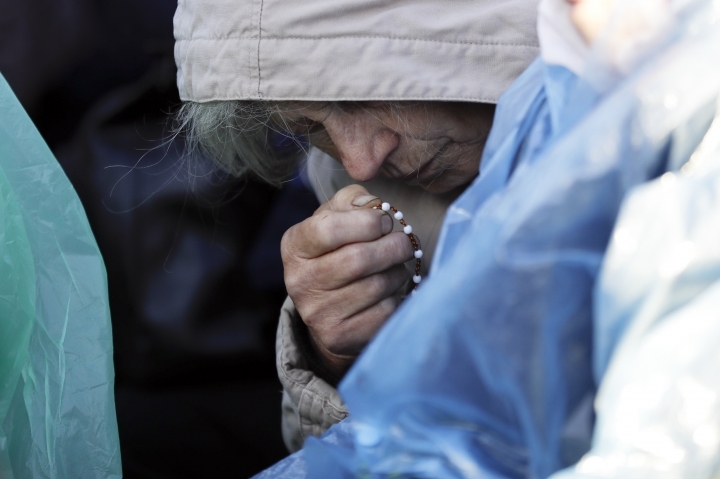 "In this place of remembrance, Lord, we pray that your cry may keep us alert," he said afterward. 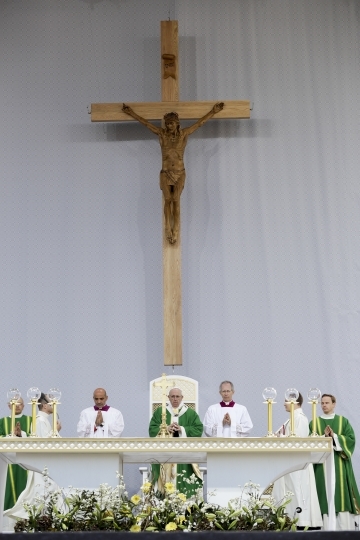 "That your cry, Lord, may free us from the spiritual sickness that remains a constant temptation for us as a people: forgetfulness of the experiences and sufferings of those who have gone before us." 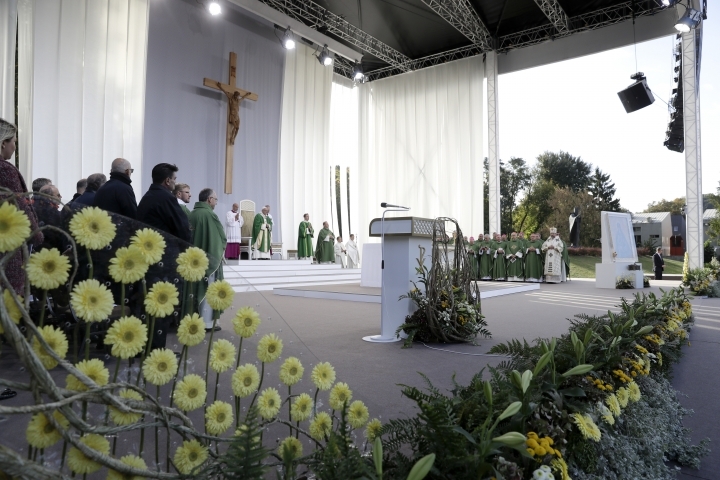 Francis paid equal tribute to victims of both Nazi and Soviet atrocities on the 75th anniversary of the final destruction of the ghetto in Vilnius, which had been known for centuries as the "Jerusalem of the North" for its importance to Jewish thought and politics. 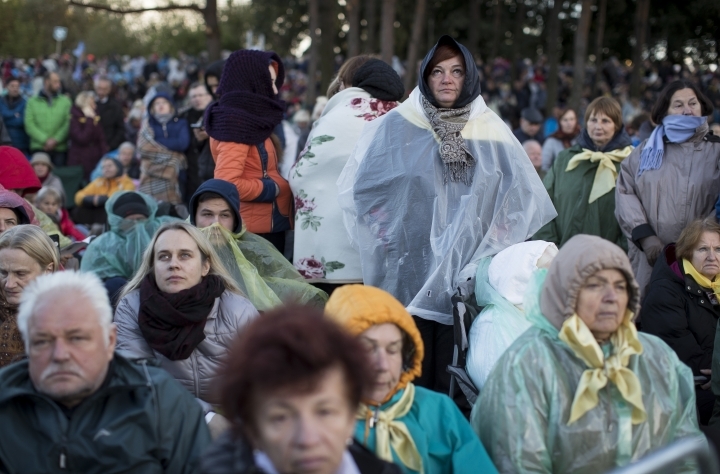 Each year, the Sept. 23 anniversary is commemorated with readings of the names of Jews who were killed by Nazis or Lithuanian partisans or were deported to concentration camps. 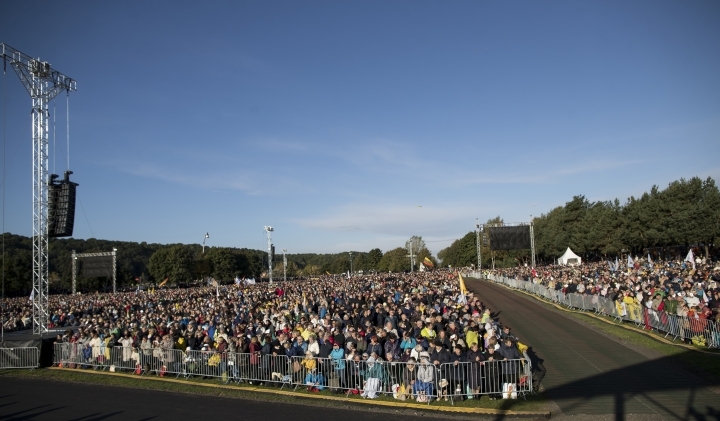 His warning came as far-right, xenophobic and neo-fascist political movements are making gains across Europe, including in Lithuania, and closer to his home in Italy. 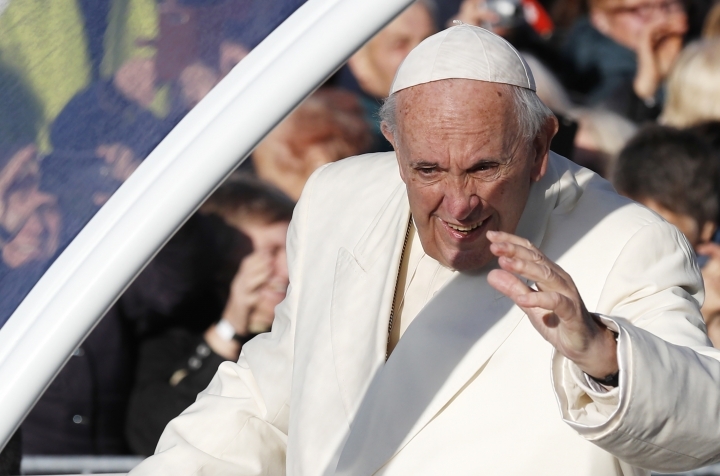 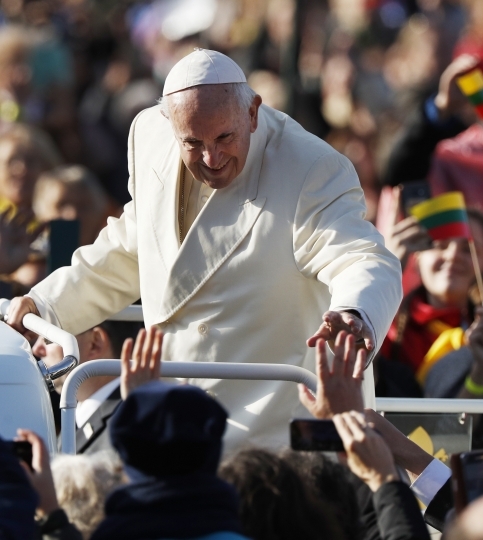 Francis is travelling to Lithuania, Latvia and Estonia to mark their 100th anniversaries of independence and to encourage the faith in the Baltics, which saw five decades of Soviet-imposed religious repression and state-sponsored atheism. 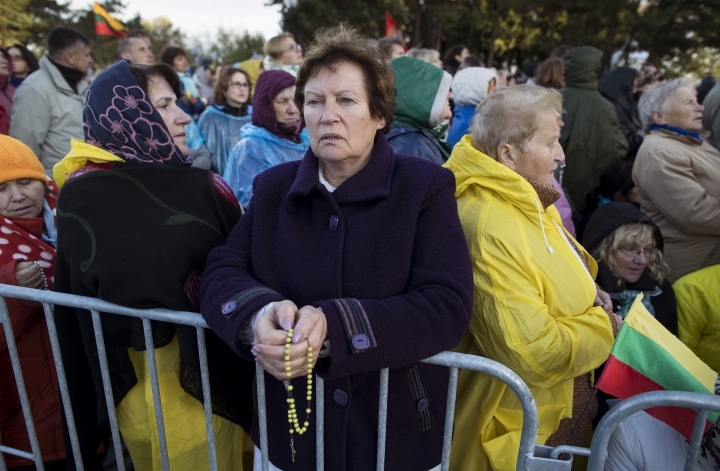 In addition, during the Nazi occupation, Lithuania's centuries-old Jewish community was nearly exterminated. 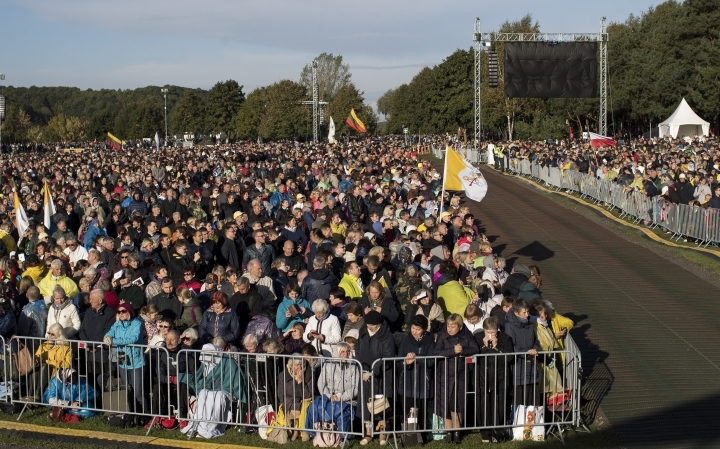 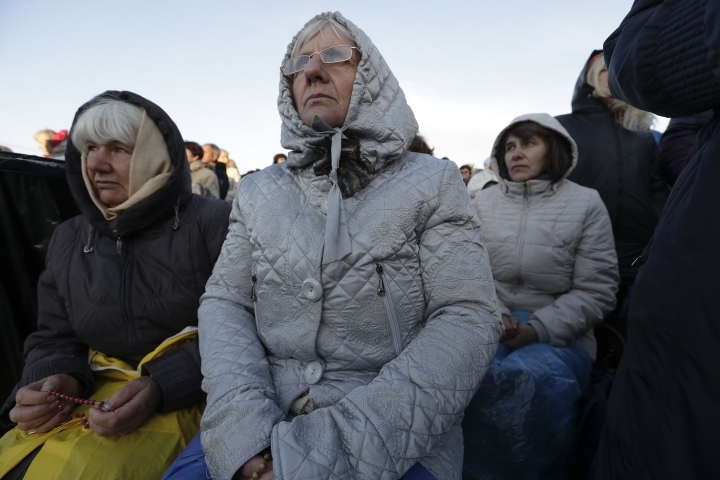 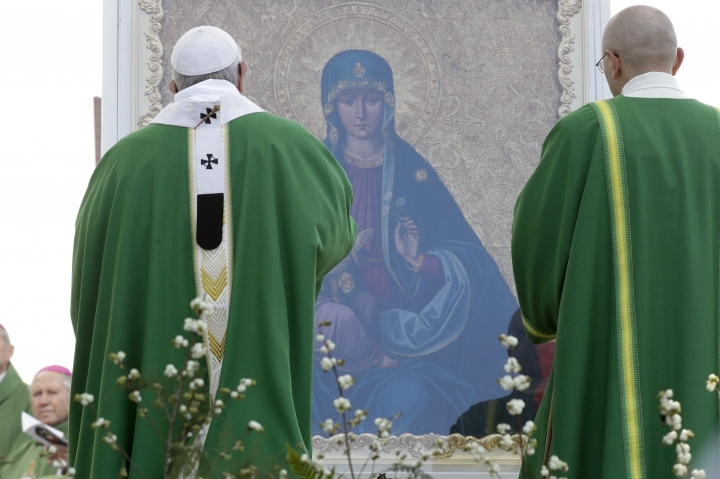 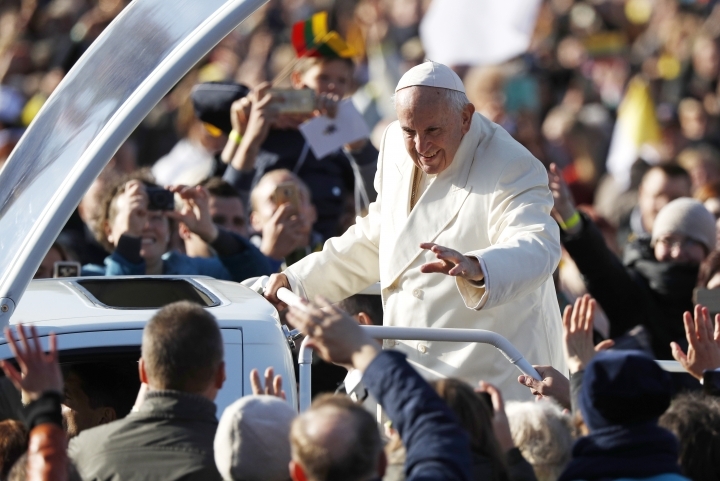 Lithuania is 80 percent Catholic; Lutherans and Russian Orthodox count more followers in Latvia and Estonia, where Francis visits on Monday and Tuesday. 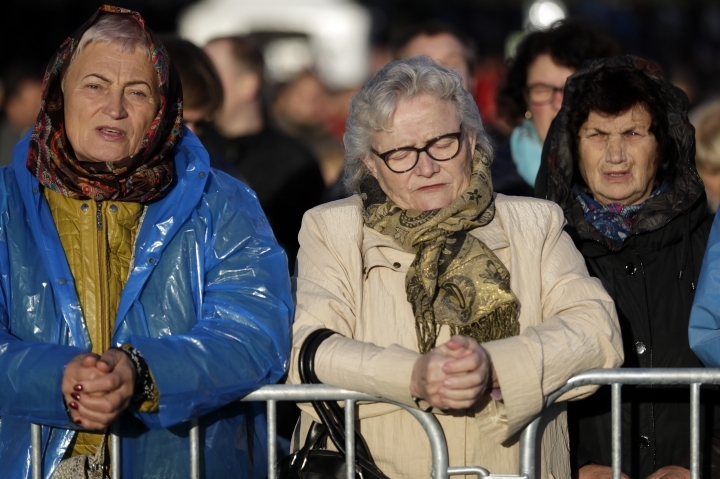 Lithuanian President Dalia Grybauskaite joined Francis at the Museum of Occupations and Freedom Fighters, where Francis saw the cells where anti-Soviet partisans were detained and more than 1,000 were killed in a bullet-pocked execution room in the basement. 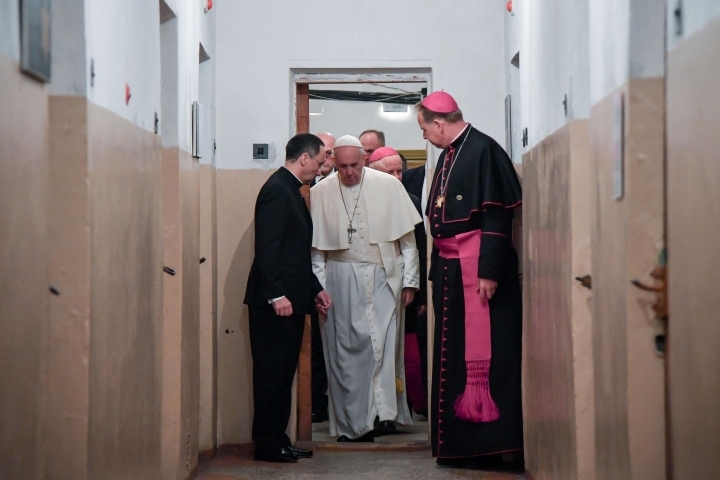 One of the underground cells has been turned into an exhibition space to tell the story of the Soviet repression of Catholic priests and bishops, one of whom was executed down the hall. 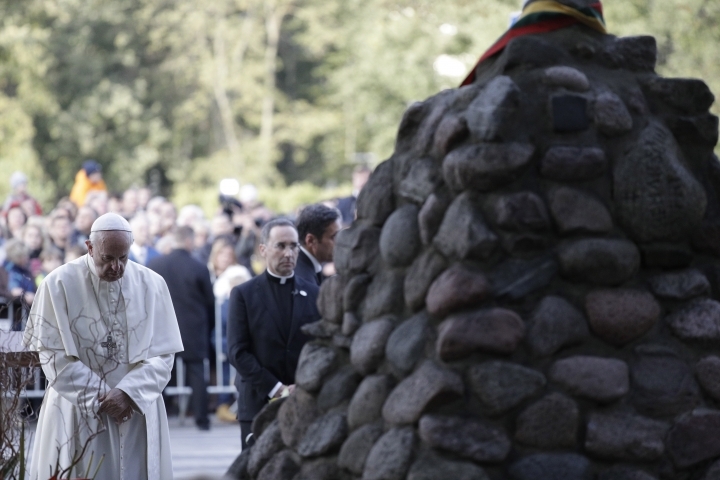 "In this place that commemorates the many people who suffered as a result of violence and hate, and who sacrificed their lives for the sake of freedom and justice, I have prayed that Almighty God may ever bestow his gifts of reconciliation and peace upon the Lithuanian people," Francis wrote in English in the guest book at the museum. 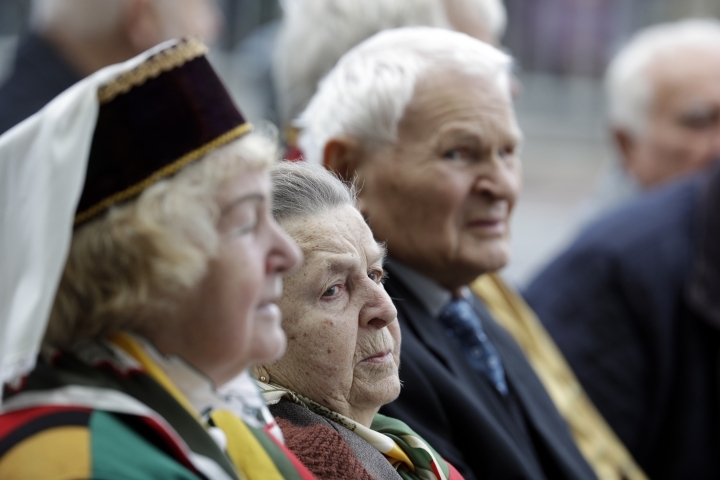 Sitting outside in places of honor were some of the last remaining Lithuanian freedom fighters, including Juozas Jakavonis, alias "Tiger," a 93-year-old partisan fighter in uniform who said he spent three months in the former KGB detention facility during which 59 of his co-inmates were executed. 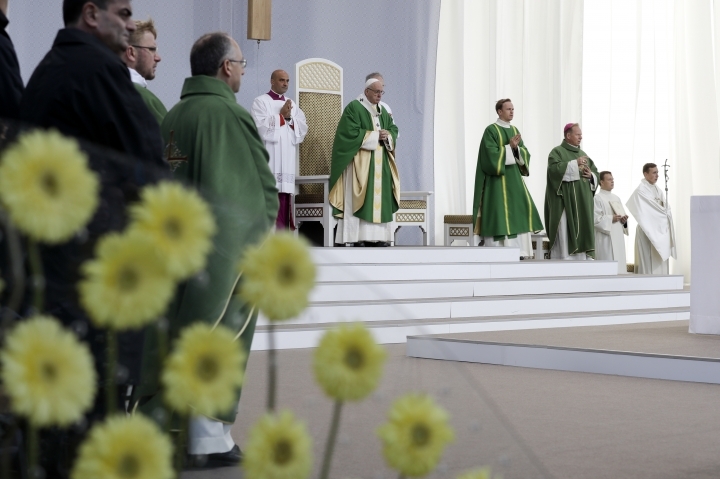 Jakavonis, who is now a partisan hero in Lithuania, said he was "really very touched by the appearance of the pope." 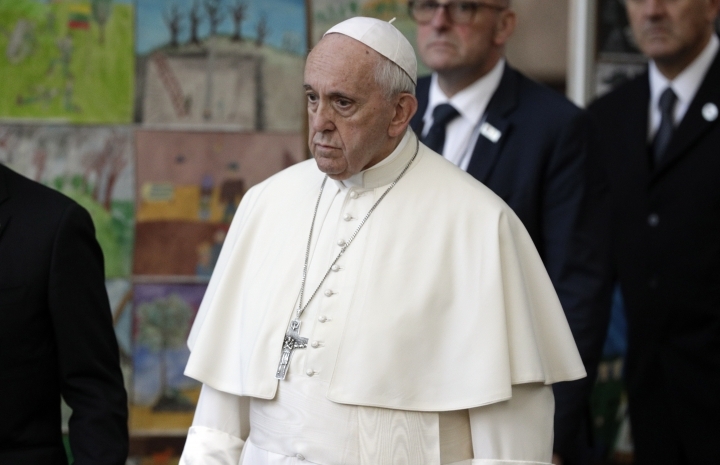 Francis changed his trip schedule three weeks ago to allow him to acknowledge the slaughter of around 90 percent of Lithuania's 250,000 Jews at the hands of Nazi occupiers and complicit Lithuanians. 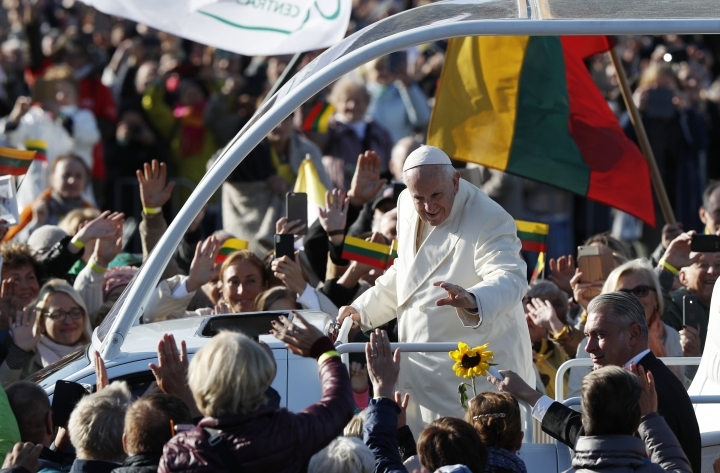 The issue of Lithuanian complicity in Nazi war crimes is sensitive here. 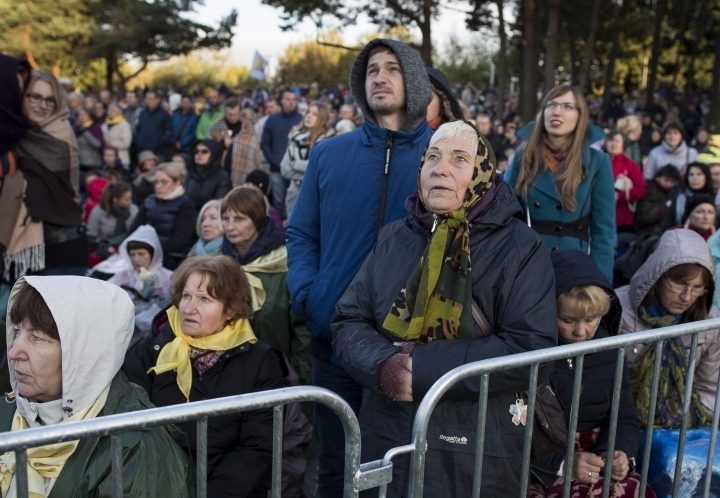 Jewish activists accuse some Lithuanians of engaging in historical revisionism by trying to equate the extermination of Jews with the deportations and executions of other Lithuanians during the Soviet occupation. 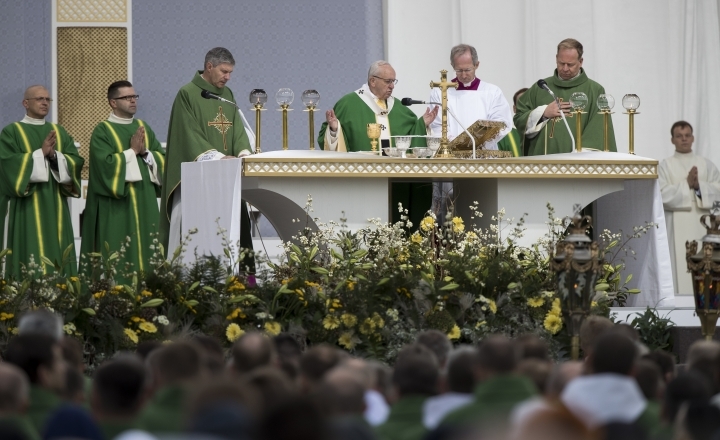 Liudas Dapkus contributed to this report from Vilnius. 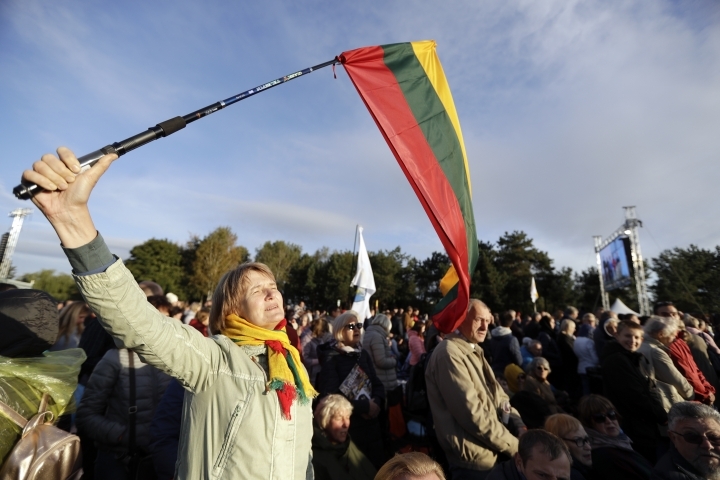 A previous version of this story corrected the dateline to Kaunas, not Kounas.